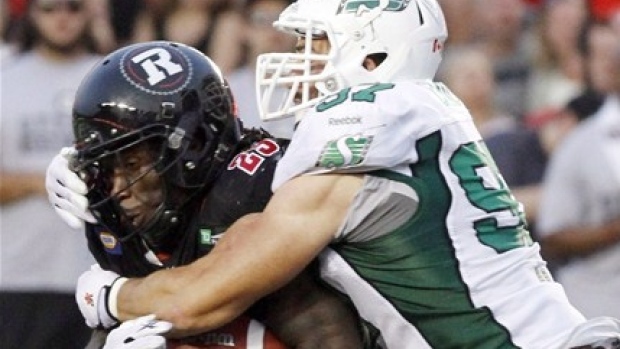 REGINA - The Saskatchewan Roughriders signed defensive lineman John Chick to a contract extension Thursday that will keep him with the CFL club through 2016 season. The six-foot-four, 250-pound Chick is entering his sixth season with Saskatchewan. Chick had a CFL-high 15 sacks last year while adding a career-best 45 tackles to capture league all-star honours. Chick, 32, has registered 42 sacks in 73 career regular-season games with Saskatchewan. He has helped the Riders win two Grey Cup titles (2007, '13) and was the CFL's top defensive player in '09.